Economists love Uber’s surge pricing. But it is doomed, because customers hate it. Surge pricing occurs when the supply and demand for Uber vehicles becomes unbalanced, for example, due to inclement weather, a public holiday such as New Year’s Eve or some other event. Supply is low (who wants to drive in a snow storm?). However, demand is high (how do I get home when the rail network is down?). So, by raising the price (sometimes very substantially), Uber aims to encourage more drivers to pick up passengers and to ration the available supply to the customers who value the service the most. The result is a New Year filled with negative Uber articles. In the Harvard Business Review, Utpal Dholakia suggests that the near universal dislike of surge pricing is due to a lack of transparency and customers’ lack of understanding about its benefits. He suggests education and transparency. But Uber is already embracing these strategies, trying to warn customers when surge pricing is likely and to make sure customers understand and agree to the surge price when requesting a car. Dholakia misses the key point. From the customers’ perspective, surge pricing does two things. First, it encourages more drivers and so makes it more likely that the customer can get home (or wherever else they are going) in less time (albeit at a higher — and possibly much higher — monetary price). This is the economic “plus” from surge pricing. Economists call this an allocative gain. It means that more mutually beneficial trade occurs because there are drivers who are only willing to drive for the higher price but there are also customers willing to pay that price. Setting a lower “normal” price would just mean that the drivers stay at home and the customers don’t get home. Economists love surge pricing because it improves “allocative efficiency”. Customers tend to dislike it because it means all customers pay more, even if their driver would have been working regardless. Surge pricing, and customers’ dislike of it, is simply one example of a common phenomenon. Whenever there is a shortage of goods or services and the market has a chance to work, the price rises and both rations existing supplies and encourages new supplies. If a cyclone disrupts petrol supplies to a city, say Cairns in Australia, the price rises and those petrol retailers who just happened to have supplies in their storage tanks get a windfall gain. Customers pay more but this encourages petrol companies and private entrepreneurs to try and increase supplies. Of course, if the same happened due to a hurricane in Florida, then “gas” prices could not rise. It would be illegal due to price gouging laws. So sellers with supplies don’t raise the (advertised) price. And it will take longer to get more supplies in (why hurry — there is no economic gain because the law has stopped the price from rising). Some politicians in the US want to limit surge pricing claiming that it is “price gouging”. However, a ban is a poor way to deal with surge pricing. It just hides the price rise or leads to non-monetary payments to ration the product or service. For example, if the monetary price can’t rise, and other forms of payment to sellers are avoided, then there will be long queues and a lot of wasted time. Customers pay in time rather than dollars. And paying an entrepreneurial student to wait in line for you rather than just paying more for the relevant product is a pure waste of resources. So, surge pricing is hated by consumers and is likely to lead to legal intervention over time. But banning surge pricing just leads to queues and inefficiency. In many markets, “opportunistic” price changes don’t occur because “regular” sellers and buyers recognise the long-term nature of their relationship. Customers often have long memories. So if a regular seller raises the price today because of a temporary shortage then customers may boycott that seller when normal times resume tomorrow. And sellers, knowing this, will try to respond to the shortage by more sophisticated pricing and information to customers. So the seller may make it clear that the price is kept lower to “regular” customers even though it is higher to everyone else during the crisis. Or the seller may ration supplies to a “fair” level for each buyer. It is the short-term entrepreneurs, who only supply during the crisis, who charge more. But the higher price only applies to their product and is needed to give them the incentive to overcome the abnormally high cost of supply. So the market leads to allocative efficiency while it limits the transfer for sellers who “would have been there anyway”. How does this relate to Uber? Individual Uber drivers and customers are not in a long term supply relationship with each other. But Uber has a long-term relationship with both its drivers and its customers. 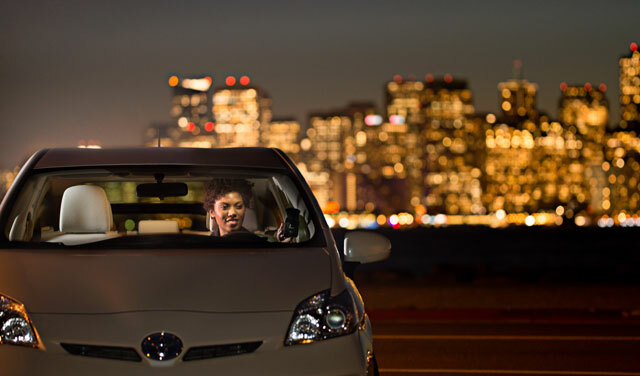 If Uber is to avoid being damaged by surge pricing, then it needs a more nuanced approach. For example, instead of surge pricing everyone, the price rise could depend on the customer’s history. Regulars get a lower price than those who have just downloaded the app due to the crisis. Of course, to encourage drivers, they would need to receive a uniform higher price. So Uber would have to sit in the middle and manage payments. This will most likely lead to lower profits for Uber in the short run. However, it will be a long-run investment in goodwill. At the moment, Uber’s surge pricing reflects naive economics. If Uber is going to thrive long term, particularly as new ride-sharing apps emerge and flourish, then it is going to need a more sophisticated economic approach to pricing. As a customer, I embrace surge pricing. I understand the model completely and enjoy the choice of immediate satisfaction for a higher price at times of demand. Of course, if I didn’t like it, then I could arrange one of the many other services out there. I could call for a cab, which would give me regular pricing and a long wait. I could have booked beforehand and been tied to a particular pickup time. Uber is not a monopoly. My friends and colleagues universally understand and embrace surge pricing. I’m not entirely sure what agenda the author is trying to push. Depending on the situation I have different tolerances. When people look for other options the demand drops and the surge ends quicker. The strategy behind Uber is to provide an alternative and more affordable service to current taxi services (competition). Surge pricing will simply place an Uber taxi in the same price range as other taxi services. What then would compel me to use Uber? As far as I am concerned, in times of surge pricing I will not use Uber and rather use a taxi service that does not increase its prices at times of demand. With surge pricing, the compelling reason for me to use Uber (because I admire disrupters) is no longer there. Well the reason for surge pricing is increased demand. It’s all very well to say you’ll use a metered taxi during “surge” timing, but that ignores the fact that you’ll struggle to find a cab because of the aforementioned demand. Surge pricing doesn’t occur in an Uber bubble that doesn’t impact other transport providers. I’ve just read this article twice and I’m struggling to find any insight in it. Surge pricing is naive economics? How exactly? All I can see is that some customers are annoyed by it… Which is not ideal but it is expected. Under the heading “What is the solution?” The author then regales us with economics 101 without any solution offered. Fact of the matter is, with fewer cars on the road, fewer people are getting to their destination. Those few who did make it might be satisfied that they didn’t have to pay a premium, but those who had to walk are not satisfied customers. All very well to claim “naive” economics, but please then provide some elegant solution. Otherwise it just seems that you’re upset about having to pay a premium on New Year’s Day. Exactly. Basic economic rule. People respond to incentives and disincentives. Reading that article (and commenting) means that I’ve spent 20 minutes that I’m never getting back. As a user I’m still miffed at having to pay more in times of demand. Uber is about affordability, accessibility and safety (When I want it, where I want it). Rather than the user being disadvantaged during times of demand, Uber should instead look at incentivising more of its drivers to be on the road at those times. Otherwise where is the differentiator with the normal taxi services? Uber *is* looking at incentivising drivers in times of demand – that’s the whole reason for surge pricing. The service that Uber provides is a convenient (hailed by app), safe (drivers vetted), secure (no cash), predictable (fee can be estimated before travel), transport service. That it is able to offer this service at a competitive rate (because of efficiency) at times of normal demand is a bonus. The basic economic rule stands, if you feel that the value of a service is less than the price, then don’t use the service. But remember that surge pricing is also based on the concept that they will charge what the market can bear. If surge pricing is too high and users don’t use the service… more cars are going to be free (supply increases) and the surge pricing will drop. Its not naive economics. It answers the fundamental economic question. Supply / demand and pricing.